Let’s face it… Funnels can be complicated. But done correctly, they work well with very little support once put into place. If you’re wondering where your funnel is going wrong or want to set up a funnel from scratch, we will create and implement a custom funnel that attracts the right customers for your business. These days, creating a marketing funnel that functions automatically is essential for online marketers and business owners. It’s not just a nice thing that adds to your productivity; it’s absolutely necessary and there’s one simple reason for that – It handles routine tasks so that you can focus your time and energy on more important things. Funnels make your marketing feel more personal and relevant to the people on your list, rather than the feeling that they are one of thousands all getting the same sales pitches. Funnels get routine tasks off your to do list so you can focus on creative work that only you can do. Automated funnels can gather more accurate analytics. Funnels can carry out much more sophisticated (but at the same time, more user-friendly) email campaign than are otherwise possible. 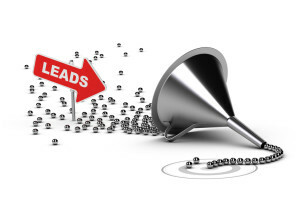 Funnels prevent good prospects and existing customers from falling through the cracks. Funnels runs like a well-oiled machine day and night, even while you’re on vacation.